Recreation in 2015 is not significantly different from that in 1998. Because the main highway (N99) has been put underground there is now more space and quiet, without negative effects on bereikbaarheid. People have more leisure time to spend, and can spend it better and more pleasant on Wieringen, provided you like nature, and outdooractivities. South of Wieringen, in cooperation with the Wieringermeer a great lake has been made (see map). At the northside of the lake, near the forest "Robbenoordbos" a harbour for pleasure-yachts was built, with all the facilities that a holidaymaker can dream of. In this way Wieringen as well as the Wieringermeer were able to boost both tourism and local employment, without wrecking the unique quality of the scenery. The entrance to the lake has been made quite narrow on purpose, so that larger motorboats can’t get in. Most other motorised "waterfun" in the form of speedboats and jetskis have been banned. They are not in accordance with the "nature and peacefulness" image that Wieringen pursues for its touristindustry. 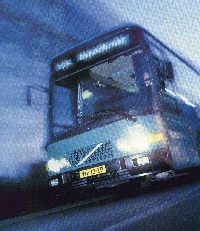 The renewed Interliner busservice brings shoppers from Wieringen in 20 minutes to the citycentre of Den Helder, or in 40 minutes to Alkmaar, for free. The council has introduced a public transportplan comparable with the milkquota in the agricultural sector. Every citizen gets 4 free Interliner bustickets for Den Helder, or 2 for Alkmaar. These tickets are not personal, therefore people who want to travel more by bus can either pay for it, or try to get the tickets of those people who don’t make use of them. In this way an informal trade of bustickets developed and the positive side-effect is that the bus never leaves empty anymore. For entertainment, i.e. films, one does not have to go to town anymore, because with 200 TV-channels there is always something you like on. Besides, the newest films are immediately released on pay-per-view stations. Only the special extra’s of a visit to the cinema are missing (a big screen and people talking through the film).